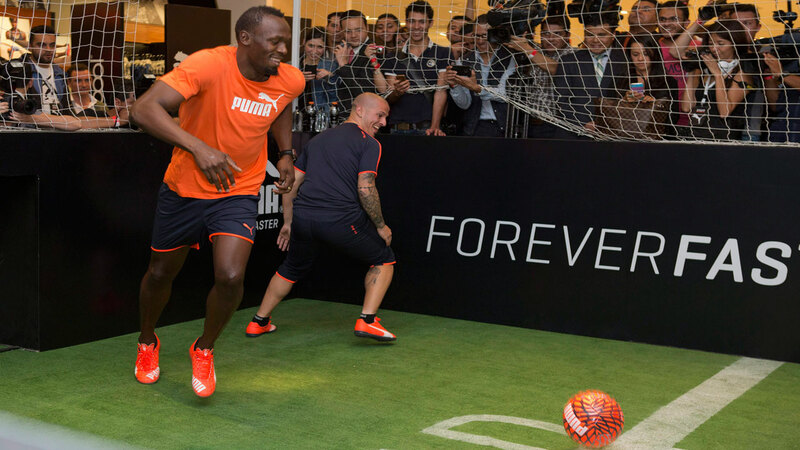 DORTMUND, Germany — Sprint star Usain Bolt is set to train with German soccer team Borussia Dortmund on Friday. The Bundesliga club says the eight-time Olympic champion, whose last race before retirement was at the 2017 world championships, will "participate in an open training session" with coach Peter Stoeger’s side. Bolt posted a picture of himself in a Dortmund shirt on Twitter, saying, "BVB, get ready for Friday."